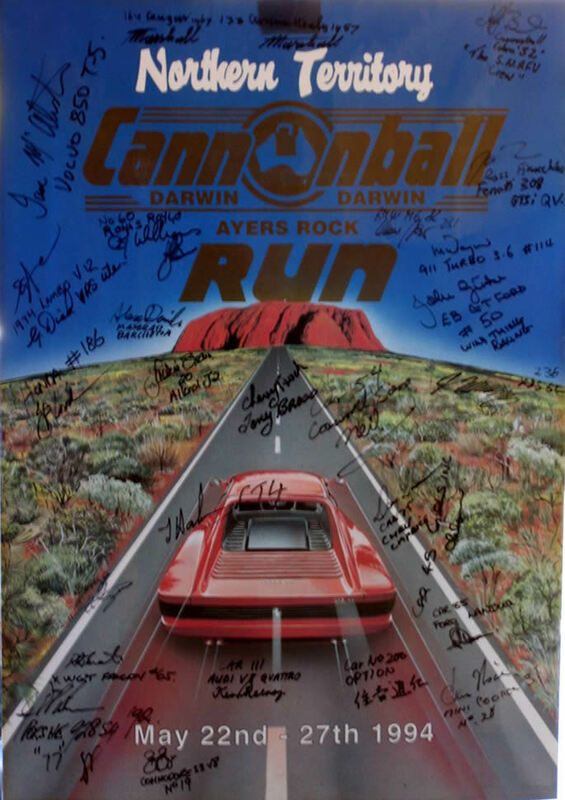 "There has been just one Australian Cannonball Run". The deaths of four people probably means there won't be any more. PETER McKAY reports on how Capt'n Snapper and the Hemi from Hell tackled the '94 Cannonball. 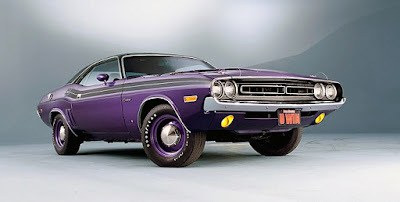 The Dodge Challenger R/T is sitting there on the startline at the Darwin wharf like a Violet Crumble bar on four fat tyres. It's painted in a colour known as plum crazy. Apt. This weapon is the star of the film Vanishing Point and the cult car of the Northern Territory Cannonball Run. It is also one aniMAL. To twist the ignition key is to invite questions relating to sanity and mortality. 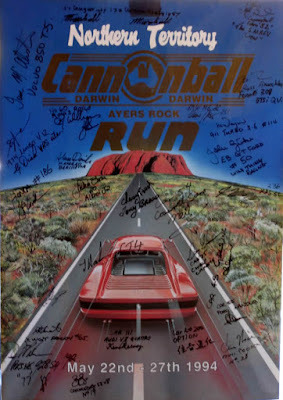 It all started when Nigel Carrall had the bright idea to tackle the Aussie cannonball with the same type of machine that set alight the original unlawful Sea-to-Shining Sea cannonballs devised and run by Brock Yates in the USA in the Seventies. Carrall, the slightly unorthodox owner of Brisbane's Capt'n Snapper restaurants, has either had a touch of the sun, or been watching too many Burt Reynolds movies. And, what's more, Carrall reckons that with the right amount of grunt under the bonnet, the Challenger R/T can muscle aside the modern pretenders like the Dodge Viper, Maserati Barchetta, Ferrari F40, Chev Camaros and Corvettes, and the hot Commodores and Porsches among the 130-odd entries accepted by organiser Allan George Moffat, he who raced and won at Bathurst. So the hot-up brigade around Brissie go into in a feeding frenzy as Nigel decides to Go The Whole Hog. He orders a six-speed Doug Nash gearbox. A brand new 426 ci hemi block is flown in from the States, one of just 200 new- production jobs. His is numbered 174. Into the big Detroit lump goes all the trick gear, titanium this and that. His cheque book looks like its spent a night in a cell with Mike Tyson. 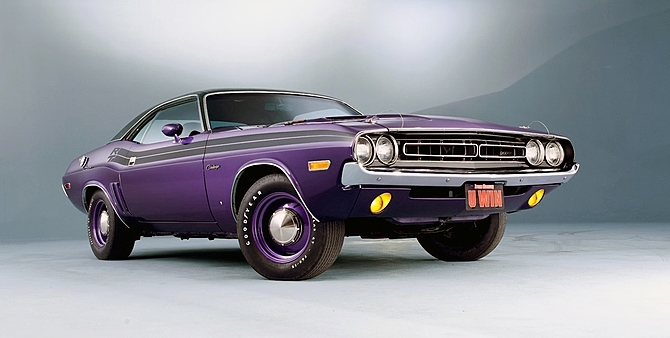 stock 1971 Dodge Challenger R/T looks like in 'plum crazy'. In standard form, these engine ladled out either 425 or 660 bhp. Woosy stuff. Nigel, aka The Capt'n, demands more. Now he reckons he's got about 750 'neddies'. Breathing on the throttle sends the Dodge into paroxisms. And it revs out to 8,000 rpm. Don't you think you may have overdone it just a teeny bit, Nige? Heck no. The good Capt'n also whips the Dodge over to George Shepheard's Accurate Suspension for a complete do-over. This is a 23 year old car. Jeez, it was around when Nixon was Watergating, and look what happened to him. Everything on the suspension is duly crack tested, and bigger brakes go on. Has it got a roll-cage, Nige? Aah, good idea. And some harnesses. Thanks. Appreciate that. The result is pretty awesome. Shakes the ground, breaks crockery, and that's just idling. Scares the hell out of old ladies and small children; frightens restaurant owners. During a test gallop near Darwin, the Capt'n is doing 150 miles per hour in third when the clutch explodes. In goes a solid clutch plate flown from Melbourne. And a scatter shield for the tunnel. "If it happens again I don't want to go back to Brisbane missing a few toes," says the Cap't. Cannonball conjures up images of maverick motorists tear-assing their way from New York to LA, thumbing noses at speed limits and authority. Moffat's cannonball is supposed to be different. Held with the official sanction and support of the Northern Territory government, it is stretching the truth to call it a speed contest. More a tourist adventure taken rather briskly. At $7,500 a pop, including accommodation. Some suggest it is Moffat's retirement fund. He disagrees. The course is from Darwin to Uluru and back to Darwin. Straight down the Stuart tarmac, where there are no posted speed limits. Average speeds of around 160 km/h are to be maintained and, at the end of each day, all competitors are to gun their cars over a radar-timed flying mile. He who is fastest wins. The field roars out of Darwin. But the Capt't and his humble lieutenant, yours truly, are in bother. A cylinder has gone out to lunch and navigational aids - odo, speedo and a device called a Terratrip -are on strike. Others are in deeper poo; five cars blow up driving down the highway to Katherine. The Flying Mile falls to the Japanese in the Ferrari F40 at 281 km/h, followed by a pair of Porsche Turbos. On seven cylinders, and with a fluffed gearchange, we do a modest 220 km/h for 10th. In Katherine, our crew are up for much of the night replacing a broken valve spring using a replacement borrowed from a friendly local. On to Alice the next day, it's long, straight boring stuff punctuated by a few dramas with the Dodge. Sixth gear has gone the way of the missing eighth cylinder. A leaky head gasket means we're stopping every 100 km to toss some water into the radiator. Fourth is hard to find. There's a transmission vibration in fifth. But the Capt'n remains the eternal optimist. He makes Peter Brock sound like a prophet of doom. A black Corvette blows up spectacularly right in our path, sending up a smokescreen the size of the Hiroshima blast. A Porsche also departs in a cloud of telltale smoke. "They're dropping like flies," yells the Capt'n, ignoring the reality that his own machine appears to be, well, ailing. The Flying Mile is a big test for a car showing distinct signs of ill-health. Fastest again is the Ferrari with a top whack of 285. Then a Porsche, with 246. Then...the Challenger; equal third best with 244. Not bad for a crock on seven cylinders and a dud gearbox. Nigel is euphoric; I'm still worried we mightn't see Alice Springs. Day Three. Alice to Uluru, sometimes known as Ayers Rock. The Capt'n is ready to boogie. This is going to be our big day. But at the end of the first special stage, the Ferrari has crashed out of control into a marshalling point. Four people have died, including the two Japanese in the F40. We happen along a few minutes later. The scene is not pretty. The rest of the day's drive to Uluru is a sobering one. At Uluru, Capt'n Snapper decides he's had enough of Cannonball '94. It's not fun any more. He withdraws the entry. A week after I arrive home, the 'phone rings. "Nigel here. What about doing it again next year? I've spoken to the guys and they reckon they can get 1,000 horsepower out of the Dodge. I'll get one of those Hollinger gearboxes; they're unbreakable...hello... hello..."